Wash your potatoes really well. YDice potatoes into 1 inch cubes. In a large pot, place potatoes with enough water to cover plus an inch above. Bring to a boil and cook for about 10-15 minutes until fork tender. 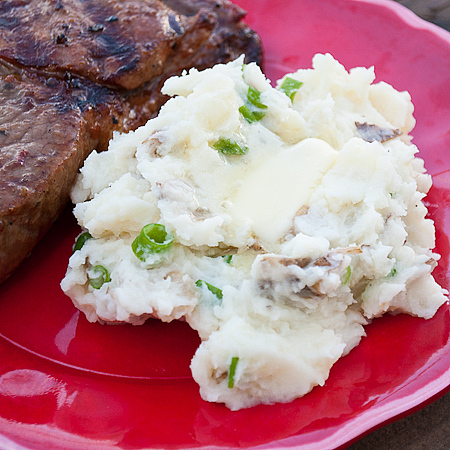 Drain potatoes and give them a light mash with a potato masher. You want to leave chucks and the potatoes with smooth some once the other ingredients are added. Mix in the butter, garlic, green onion, salt, and pepper until well combined. Serves 6-8.